OPEC, the intergovernmental body that coordinates and stabilizes global oil markets, is expected to convene on Friday for one of its semi-annual meetings. There is speculation that OPEC might undo a deal struck early last year to limit crude production. 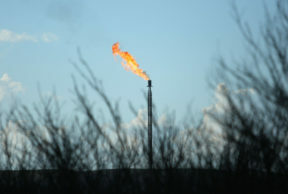 That agreement aimed to keep oil prices from falling too low in the wake of explosive production out of the United States due to widespread adoption of fracking techniques. Matt Smith, director of commodity research for ClipperData, says the Saudi oil minister has been signaling that a boost in production is coming. With the Trump administration slapping sanctions on Iran, Saudi Arabia could be dealing the country a double blow. Smith says Trump’s tweet is meant to shift the blame away from his administration. So how could the upcoming OPEC meeting affect businesses in Texas? Smith says U.S. oil production is poised to hit 12 million barrels a day next year.